Although we do not perform orthopedic surgeries, we do orthopedic consultations. We can determine the necessary procedure to correct issues and refer you to the appropriate specialist should it be necessary. 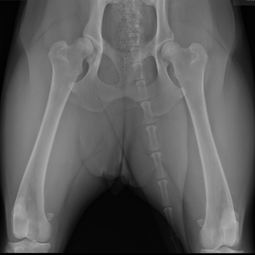 We also x-ray for Orthorpedic Foundation for Animals (OFA) certification.